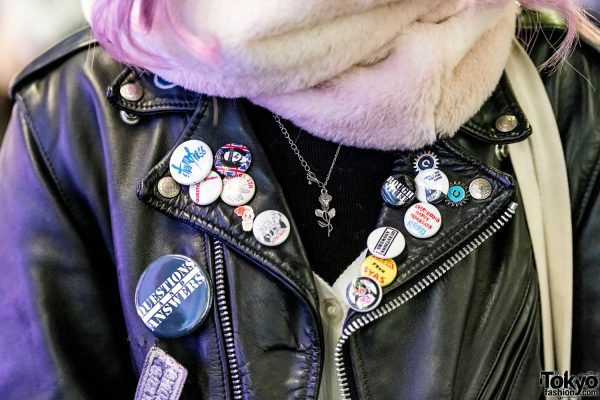 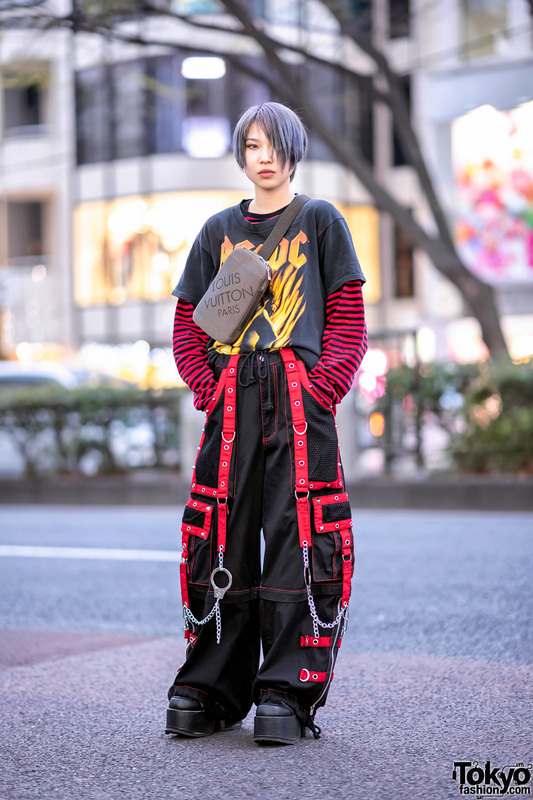 While strolling along the Harajuku streets one evening, we bumped into Elleanor, a popular style icon, model and punk rocker who we have featured many times on our street snaps. 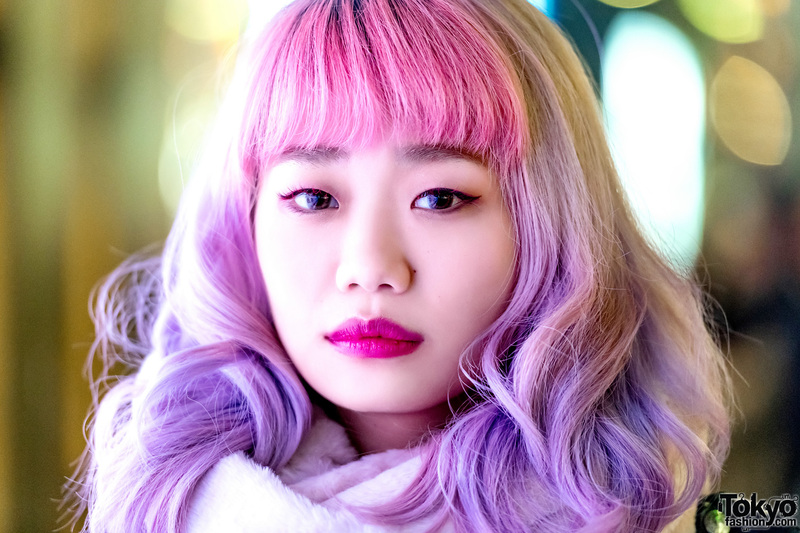 Tonight, she caught our eye with her pastel ombre hair and chic street style. 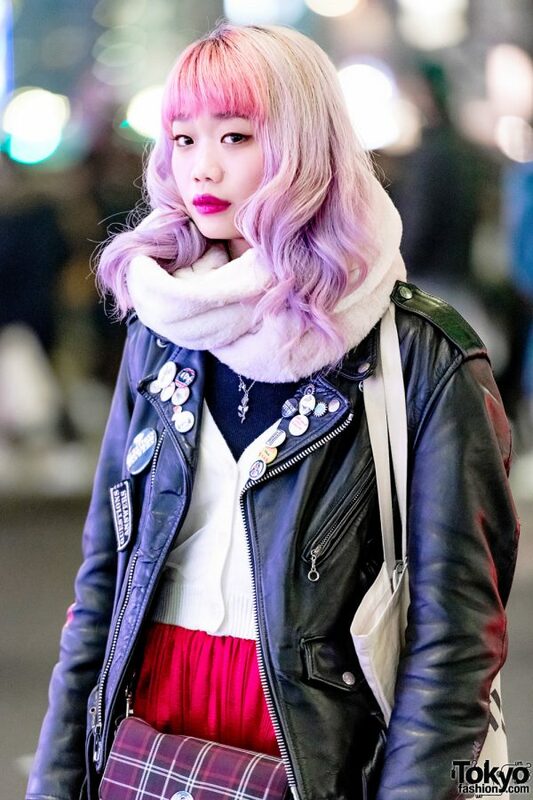 Sporting curly ombre-colored hair, Elleanor’s look consists of a black leather motorcycle from Schott, which she styled with badges and wore over layered tops of a WC cropped cardigan and black top. 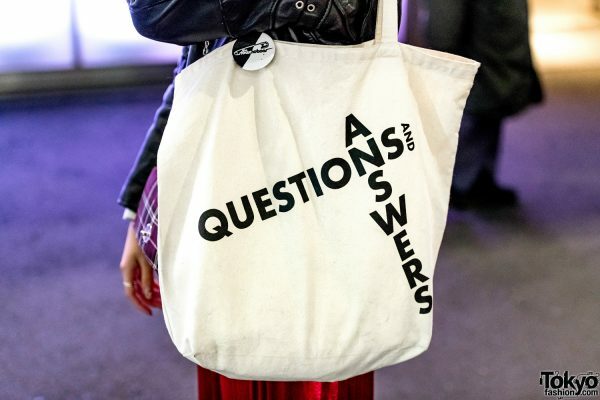 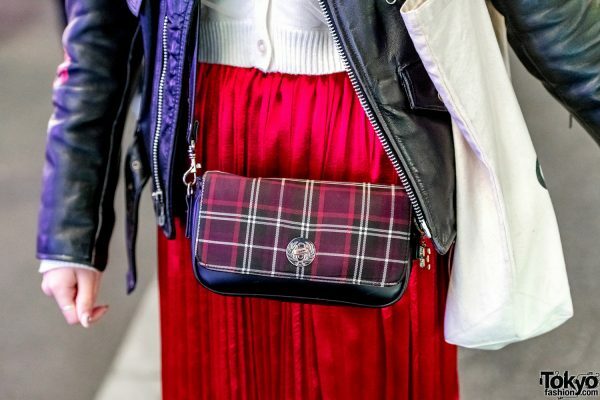 She then added a red accordion-pleat maxi skirt from WC, black socks, black Bershka ankle buckle boots, a black Fred Perry leather sling bag with a plaid flap, and a band merch Questions and Answers canvas tote bag. A fuzzy pink infinity scarf and a silver flower necklace were the finishing touches to her look. 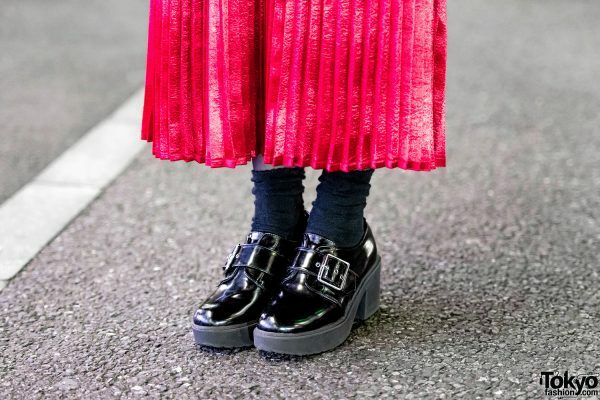 Elleanor’s favorite fashion brands are WC and Vivienne Westwood, while she loves the music of Japanese 5-member punk band, Questions And Answers. For more on Elleanor, check her out on Instagram.